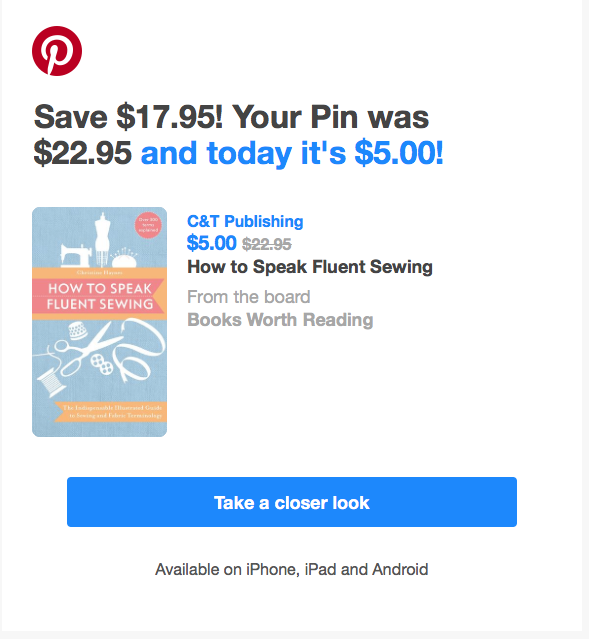 Pinterest rolled out buyable pins in 2013 and continues to update the process. Here is an alert received via email. Had forgotten this pin. At this price, will consider adding to library.